Meet the people behind RoOUG’s first event! Mirela is a Computer Science Engineer with more than 12 years experience working with Oracle Technology. Skilled in PLSQL, XML, UML and Business Analysis, she is also a Oracle PL/SQL Developer Certified Associate and Oracle Forms Developer Certified Professional. 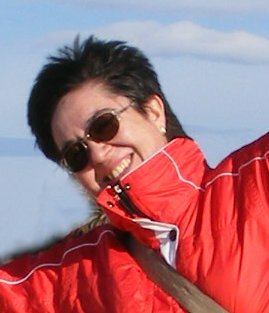 Mirela will present the Romanian Oracle User Group statement of direction at the “RoOUG Startup Meeting” in Bucharest. Computer Science Engineer with software and hardware architecture systems skill. Interested in all types of distributed systems. 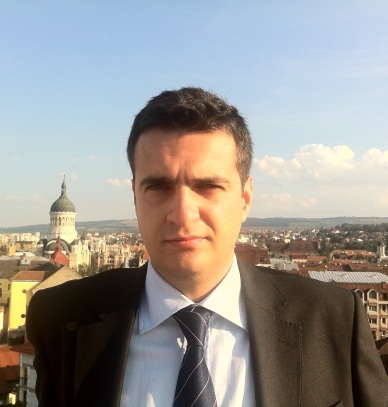 Ciprian will present Oracle 11g XE new features at the RoOUG Startup Meeting in Bucharest. Paul has a Bachelor’s degree in Finance and 1-year post graduate studies in management with more than 10 years of computer experience in program/ project management, enterprise system software implementation, design, DBA team coordination and development.Main skills include: Program/ Project Management, Software & technical team coordination, Business Architect, Oracle DBA, Oracle eBusiness SuitemApplications DBA, Virtualisation (VMware software) and Unix Shell scripting. Catalin will present Oracle Database 11gR2 new features at the RoOUG Startup Meeting in Bucharest. George Bara has been working with Oracle products since 2006, developing software for automated logistic systems and insurance companies. An Oracle Certified Associate since 2008, he is also an author for the www.ApexNinjas.com, technical blog dedicated to Oracle Application Express. George designed the RoOUG website and organized the promotion of the RoOUG Startup Meeting outside of Bucharest. This entry was posted in Default on March 28, 2012 by George Bara. The Romanian Oracle User Group proudly invites you to its first ever – Startup Meeting! The event will take place on April 5th at 18:30 (EET) in Bucharest. 169A Calea Floreasca Boulevard, corp B. This entry was posted in Default on March 26, 2012 by George Bara. This entry was posted in Default on March 12, 2012 by George Bara. Pre-holidays fatigue has taken us over! Pre- holidays fatigue has taken us over and this is our last post for 2011. Looking forward to start 2012 with new blog posts and an improved version of the ApexNinjas blogging plaform (thanks for the awesome feedback Jari and Trent!). – participated as a presenter (APEX Printing Techniques) at OUGUK APEX SIG Meeting – London, November the 3rd. Happy Holidays everyone and have a wonderful New Year! This entry was posted in Default and tagged apexninjas, holidays on December 19, 2011 by George Bara. A solution to adding checkboxes to reports was presented in the The Complete Guide: Checkboxes in APEX Interactive Reports article. Now, in the current article we present another way that checkboxes can be added in a report. This solution however does not work for an interactive report, so if you need a checkbox in an interactive report then the solution to use is the one in the article mentioned above. This entry was posted in APEX on September 23, 2011 by George Bara.